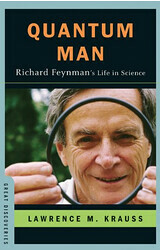 I picked up the book Quantum Man: Richard Feynman’s Life in Science because I wanted to learn more about Richard Feynman and what he accomplished. Even though it is not a computer book, I decided to still review the book here because most scientists use computers. You can check out the The Feynman Lectures on Physics site to learn more about Feynman’s work. It has stories about the influence of The Feynman Lectures on Physics on people’s lives and exercises and solutions to math/physics problems. I highly recommend this book, I enjoyed it, you will enjoy it too!